“It’s a good opportunity for folks to make some extra money, you make your own hours, you drive at your own pace,” says Alpine-native Jon Tabor. Tabor started driving for the ridesharing service Lyft a couple weeks ago. He’s one of the first Lyft drivers in the area. Tabor says there’s not much of a need for rides among locals during the week. Weekends are a different story. After a sleepy first week behind the wheel, Tabor did over 30 rides during week two. “Most of the folks that I had taken care of were folks from out of town for TransPecos Fest. I did have a few local yocals,” says Tabor. The long-distance ridesharing app Flok has also expanded to Marfa, joining Austin and Houston as one of three places in Texas where the service is available. Flok co-founder Clio De La Llave says coming to far West Texas is strategic. The Flok app is especially catered for college students and for transportation to specific events. 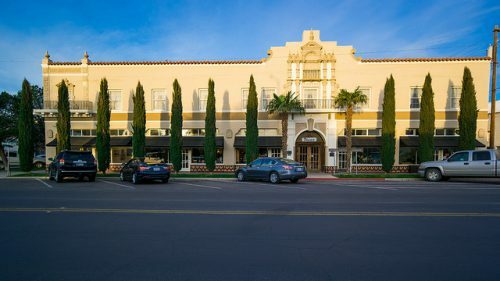 People who are heading to Marfa for a festival over the weekend, for example, can open up seats in their car at a cost. “Because it’s so remote we thought it’s such an opportunity for people to meet before getting to Marfa and really start building relationships so you’re starting your experience, your journey, your trip, before you even get there,” says De La Llave. The app hasn’t been used by any locals so far. Other area ridesharing services are Tipsy Taxi and TRAX. 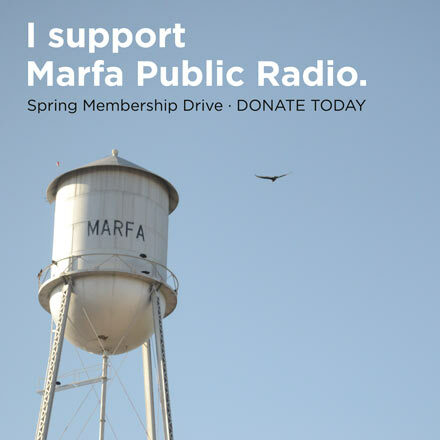 Marfa List and the Marfa Group on Facebook are other ways area locals share rides. This entry was posted in KRTS News, KXWT News and tagged flok, lyft, marfa, ridesharing, West Texas. Bookmark the permalink.